Descriptive Sketches is William Wordsworth’s account of a walking tour the poet took among the Alps with one of his friends in the summer of 1790. Wordsworth and his pal Robert Jones skipped south during one of their summer vacations and walked from England through France and the Alps, covering roughly 1,500 miles. Wordsworth says that he composed much of the Descriptive Sketches while hanging out on the banks of the Loire in 1791 and 1792. Later, Wordsworth went on to include many of the experiences recounted in Descriptive Sketches in his long autobiographical poem, The Prelude (1850). I just wanted to include a few sections of Descriptive Sketches, relevant as they are to the recent “Down and Out” discussions of Chamonix, France. If you would like to read Descriptive Sketches in its entirety (670 lines), click here to read it on Bartleby.com (which also archives Wordsworth’s complete poetical works online). Tremble in ever-varying tints of air. Where, so they fondly think, the worm shall gnaw no more. That holds no commerce with the summer night. Photo credits: all photos taken by The Sister. 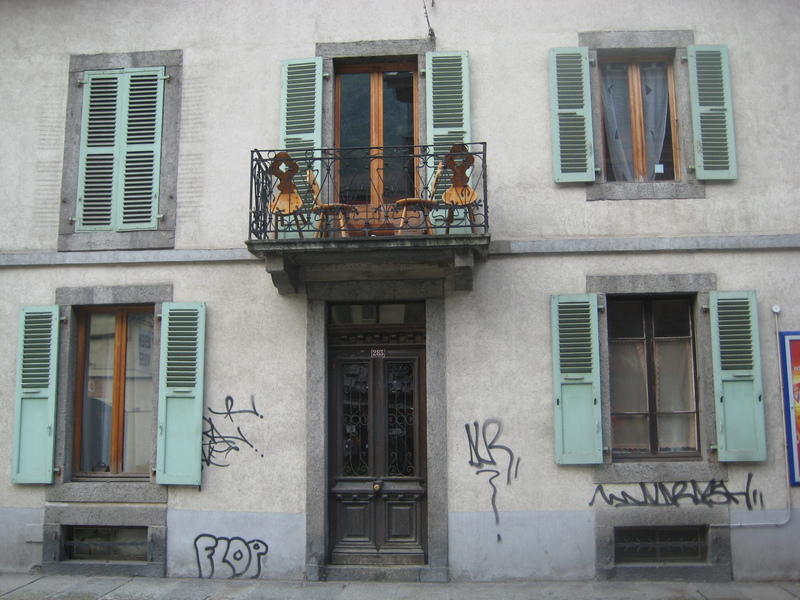 Top right: chalet in Chamonix. Next: Shawna and Traci under l’Aiguille du Midi. 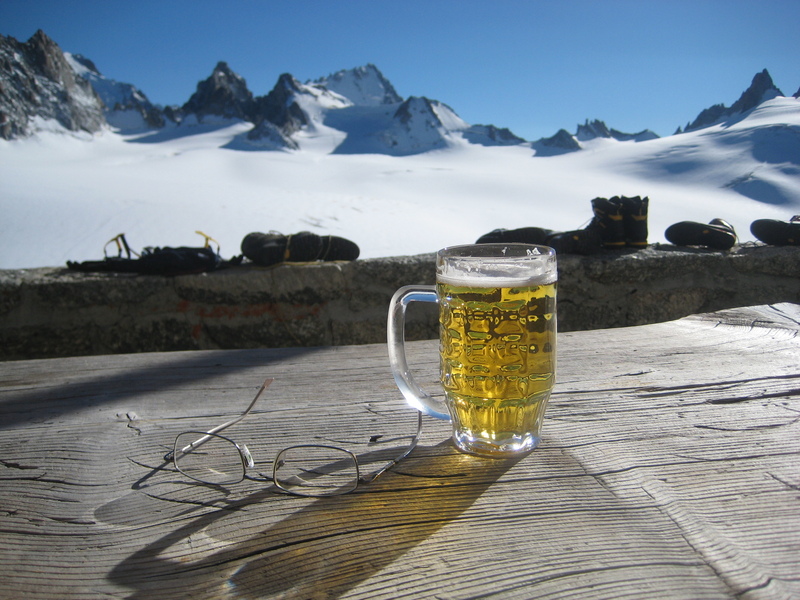 Next: Beer outside Swiss mountain hut. 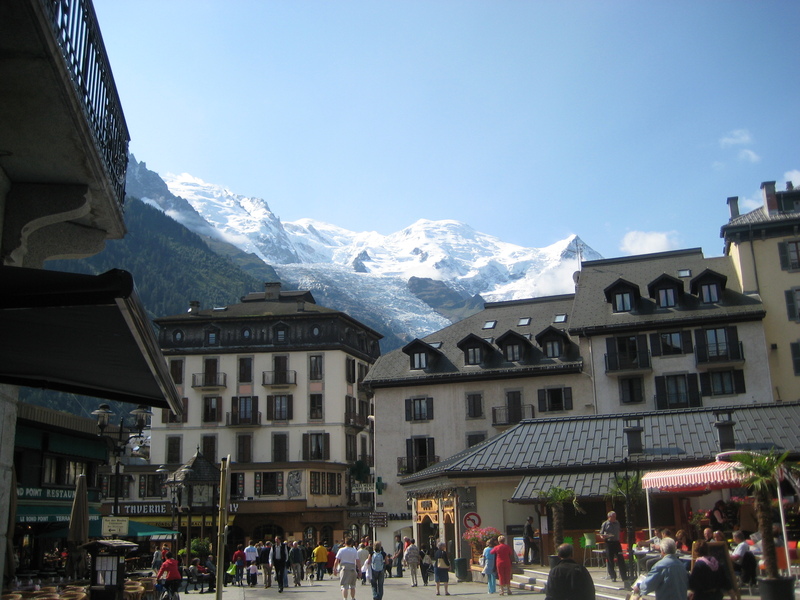 Next: Chamonix and Mont Blanc. 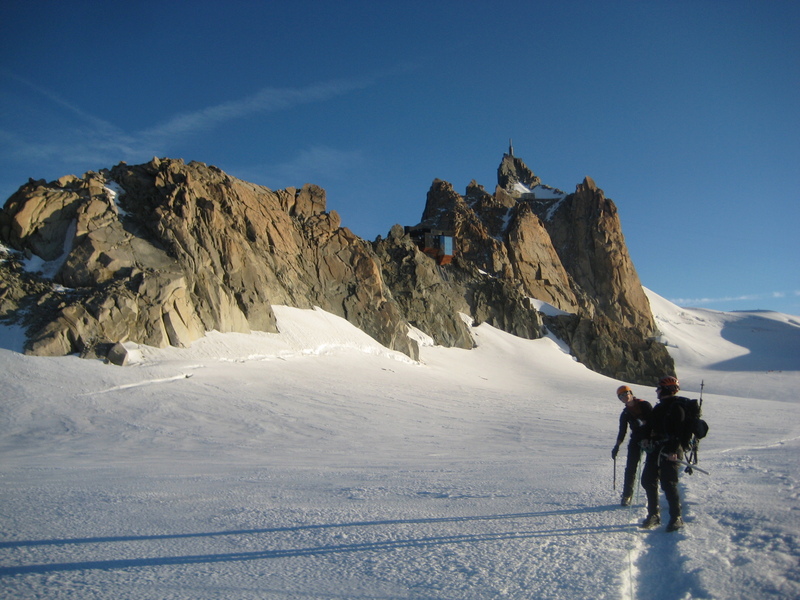 I love Cham and the Aguille du Midi – climbed three routes there, including Rebuffat’s s. Face route. It’s nice, and was all fixed pins, so takes a small rack.